The Duke of York’s Theatre is proud to offer a designer Terrace Bar located on the Upper Circle Level. The Duke of York’s Theatre is proud to offer our designer Terrace Bar which is located on the Upper Circle Level. The Terrace Bar is offered exclusively to ticket holders an hour and a half prior to curtain up. 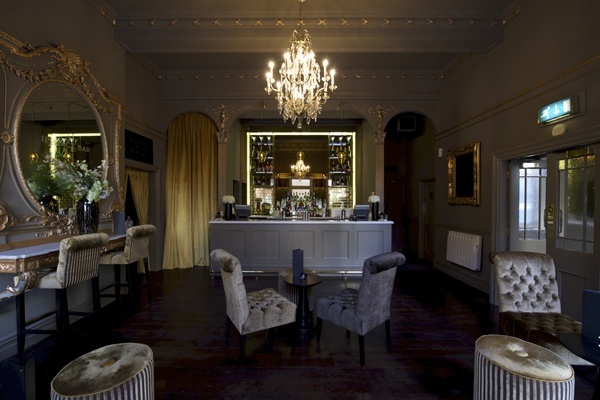 The bar provides an ambient, relaxing setting enabling you to unwind with specialty cocktails and soft music. There is no better way to take the edge off of your busy day before enjoying a wonderful evening of theatre. Please email [email protected] to reserve a table, stating the date and time of the performance and your contact details. We look forward to welcoming you to the Duke of York’s Theatre in style.